Agni dev (Fire Deity) held supreme importance in her life. She revered festivals like Lohri, Holika Dahan* centered around fire and often found it magical. Her grandfather told her various stories related to every festival and explained the spiritual meaning behind each ritual. In his absence, she derived strength from the fiery power of Agni. On her marriage day, she was numb eyed while revolving around the sacred fire. Suddenly, she glimpsed her grandfather's image take form in the Agni. There was lilt in her steps. She knew he was there to sanctify her marriage! 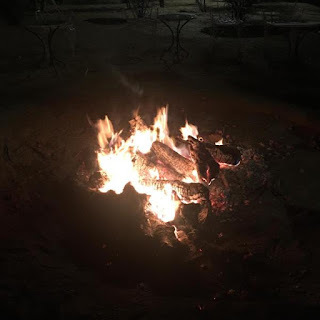 * I have given the Wikipedia links for Lohri and Holika Dahan - these are important Hindu festivals celebrated with much fervor throughout the country. ~ According to Hindu marriage tradition - the primary witness for marriage is Fire deity (Agni), in the presence of family and friends. Simply delightful. he has his blessing. Sure she has his blessings all along! A nice message to receive from the other side. Lovely story, and I'm sure she'll be happy. A delightful story! She completed her saptapadi with a light heart! So nice to get such a clear sign! Quite an interesting take on the prompt. So glad you shared it as I am unfamiliar with such gods and rituals. Glad you found this interesting and read about something that is unfamiliar to you! Thanks for your wonderful comments! 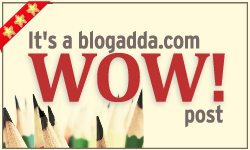 Please leave your blog link so that I can visit your page as well! Fire certainly burns what is impure and brings sanctity to any occasion. An interesting and entertaining story. Glad she received encouragement on her upcoming union. At such an important event of life - encouragement and reassurance give a boost to your decisions! It helps to see someone you know, I guess. Thanks for sharing your story! Such reassurances are so important. I am glad that your wife could sleep peacefully knowing that your pet was in a better place, free of pain. Heartwarming story! It's so reassuring to feel like your loved ones are there, sharing your important moments, even when they've passed on. Hmm... that "unknown" above is me, Joy Pixley. Not sure why Blogspot isn't recognizing me. It only gives me the option of using a Google account. Thanks Joy for your lovely comment above! In Hindu culture, agni is the most sacred and now she sees her grandfather, what better omen than that! Yes Agni is sacred and also one of the Panch-bhut! What a wonderful reassurance to find her grandfather's image in the flames. Beautiful story. A very gorgeous, beautiful write. Thanks Lisa for your kind words! Her grandfather's spirit is watching over her. Sweet story. Beautiful. And a great response to the prompt. I might do something myself later, but I'm busy with helping family and other writing tasks just now. Thanks so much Maz! Yes Family should always be a priority!